HAMPTON, Va. -- The 18,000-pound test article that mimics the size and weight of NASA's Orion spacecraft crew module recently completed a final series of water impact tests in the Hydro Impact Basin at the agency's Langley Research Center in Hampton, Va. The campaign of swing and vertical drops simulated various water landing scenarios to account for different velocities, parachute deployments, entry angles, wave heights and wind conditions the spacecraft may encounter when landing in the Pacific Ocean. The next round of water impact testing is scheduled to begin in late 2013 using a full-sized model that was built to validate the flight vehicle's production processes and tools. Orion will carry astronauts farther into space than ever before and be the most advanced spacecraft ever designed. It will fly its first flight test, designated Exploration Flight Test 1, in 2014. The spacecraft will travel more than 3,600 miles into space -- 15 times farther from Earth than the International Space Station -- and reach speeds of more than 20,000 mph before returning to Earth. This unmanned flight test will launch from Cape Canaveral Air Force Station in Florida. Several Orion systems, including the heat shield and parachutes at speeds generated during a return from deep space, will be tested. In 2017, Orion will be launched by NASA's Space Launch System (SLS), a heavy-lift rocket that will provide an entirely new capability for human exploration beyond low Earth orbit. Designed to be flexible for launching spacecraft for crew and cargo missions, SLS will enable new missions of exploration and expand human presence in the solar system. Langley's Hydro Impact Basin is 115 feet long, 90 feet wide and 20 feet deep, and is located at the historic Landing and Impact Research Facility where Apollo astronauts trained for moonwalks. For video and still imagery documenting the ground breaking of the Hydro Impact Basin all the way through various stages of the Orion testing, visit http://go.usa.gov/Yak5. 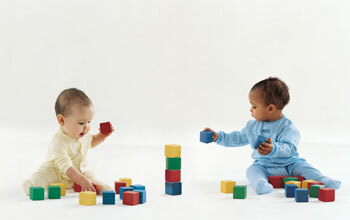 For further information about the International Space Station, NASA's commercial space programs and the future of American spaceflight, visit http://www.nasa.gov/exploration. 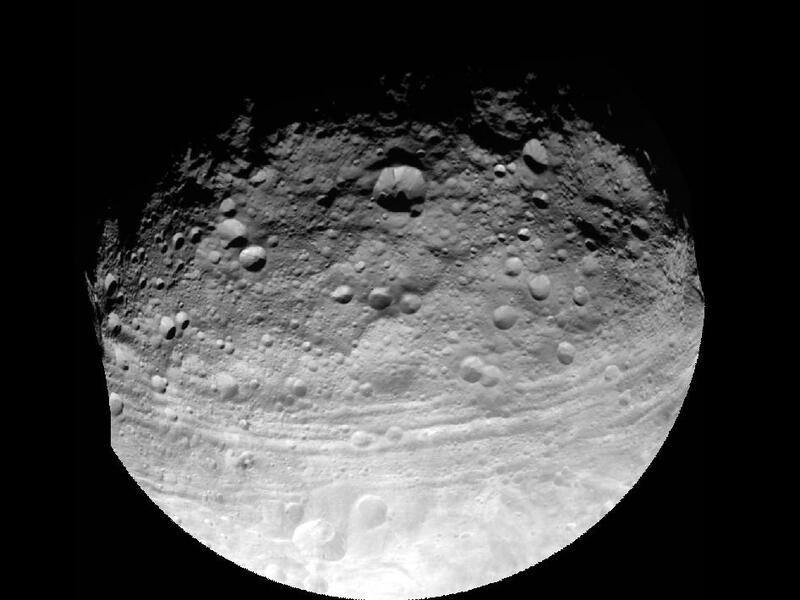 This full view of the giant asteroid Vesta was taken by NASA's Dawn spacecraft, launched Sept. 27, 2007, as part of a rotation characterization sequence on July 24, 2011, at a distance of 3,200 miles (5,200 kilometers). A rotation characterization sequence helps the scientists and engineers by giving an initial overview of the character of the surface as Vesta rotated underneath the spacecraft. This view of Vesta shows impact craters of various sizes and troughs parallel to the equator. The resolution of this image is about 500 meters per pixel. WASHINGTON -- NASA Technology Days, a three-day public technology showcase, will take place at the Cleveland Public Auditorium and Conference Center Nov. 28-30. The space technology showcase will bring together stakeholders from industry, academia and the U.S. government to engage in strategy development, partnership building and methods of fostering technology transfer and innovation. NASA Tech Days attendees will get a comprehensive overview of the agency's technology programs for space science, exploration and aeronautics, and discover innovative and advanced technologies that are stimulating the economy and sustaining our nation's global competitiveness. NASA's Tech Days are free and open to the public, but registration is required. To register, visit http://www.aiaa.org/nasatechdays. Visitors will explore the NASA showcase, featuring mature NASA-funded technologies that can be transferred to aerospace, advanced energy, automotive, innovative manufacturing and human health industries. The demonstrations and exhibits will provide opportunities for networking, business development and forging of new relationships while attendees learn about leading technologies contributing to American economic growth and innovation. 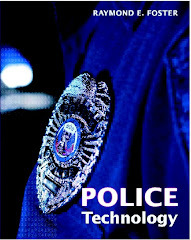 Attendees also can attend presentations by NASA program executives about the agency's upcoming technology initiatives. In addition, participants will have the opportunity to discuss technology transfer and strategic partnerships with NASA officials. NASA's Glenn Research Center of Cleveland, NASA's Goddard Space Flight Center in Greenbelt, Md., and NASA's Langley Research Center in Hampton, Va., will be participating in the showcase, providing exhibits and information on how businesses can partner with NASA for technology development, transfer and innovation. This image captures a perspective of NASA's Global Hawk unmanned aircraft from one of the wings. The Global Hawk is sitting at the aircraft hangar of NASA's Wallops Flight Facility in Wallops Island, Va. on Sept. 7, 2012. 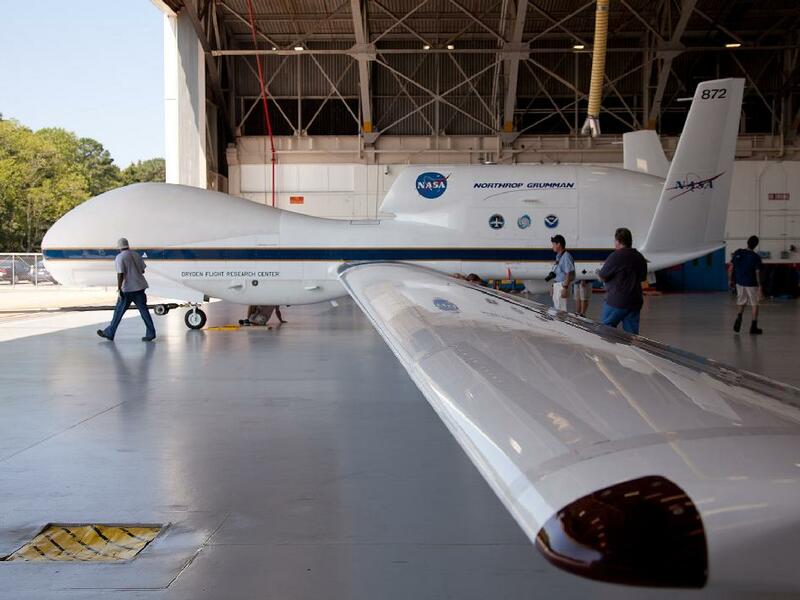 The month-long Hurricane and Severe Storm Sentinel (HS3), which began in early September, is currently deploying one instrument-laden Global Hawk from the NASA Wallops Flight Facility on Virginia's Eastern Shore to look at the environment of tropical storms. In 2013 and 2014, a second Global Hawk will be added that will focus on getting detailed measurements of the inner core of hurricanes. The Global Hawk's ability to fly for a much longer period of time than manned aircraft will allow it to obtain previously difficult-to-get data. Scientists hope to use that data to gain new insights into how tropical storms form, and more importantly, how they intensify into major Atlantic hurricanes — information that forecasters need to make better storm predictions, save lives, and ultimately prevent costly coastal evacuations if a storm doesn't warrant them. "DNA of Maple Seed Flight"